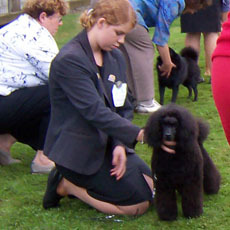 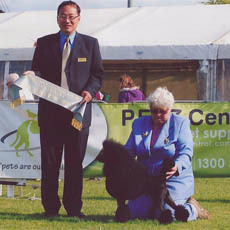 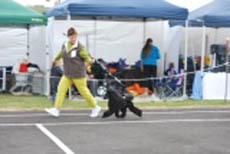 Harry Best of Breed and Australian Bred in Group at Launceston Royal 2010. 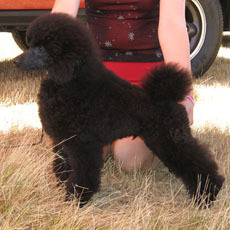 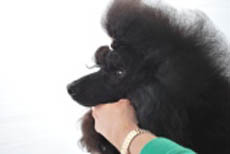 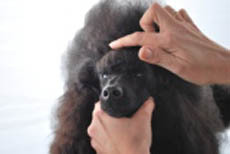 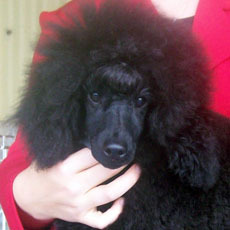 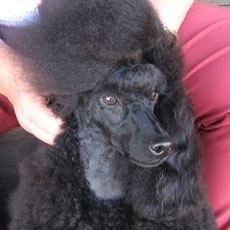 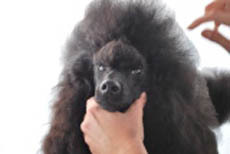 Harry has come to us from Jenny Sculac of Jenuin Poodles. 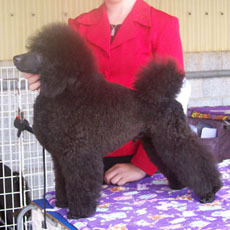 He's a cheeky boy with a great attitude, fabulous thick coat, great conformation and carriage. 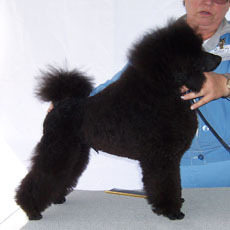 We expect great things from this lovely boy. 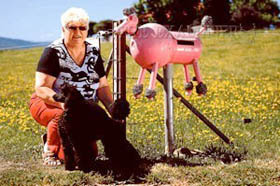 Harry Carter poses with his mom and the famous pink poodle letterbox.